Whether you’re a veteran or a novice, whether you’re the next at-home Rachel Ray or you can’t tell a teaspoon from a tablespoon, everyone can use some handy kitchen appliances & tools to make cooking more fun and efficient! Dreamfarm’s Mini Supoon is the teaspoon version of the world’s best cooking spoon – Supoon. It has a flat squeegee tip and flexible scraping sides which make it awesome for scraping every last bit out of a jar or container. When you put it down its head sits up without creating a mess on the counter so it’s great for serving dips and tapas too. 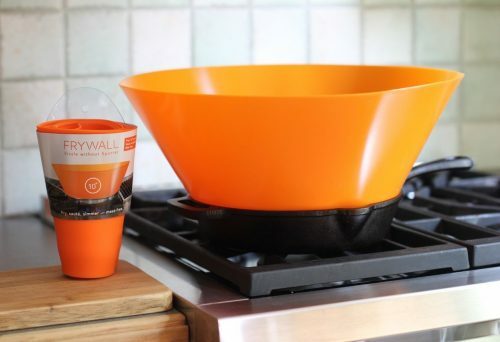 The Frywall is the ultimate splatter protection accessory in your kitchen preventing oil splashes and mist from getting through while letting the steam escape through the top. 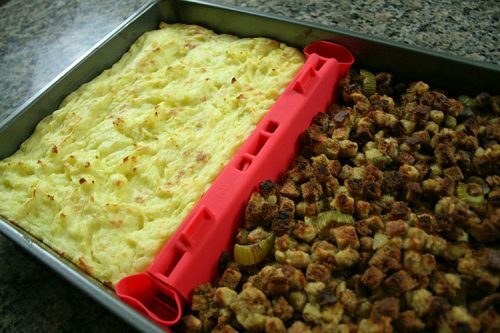 Made of BPA-free, FDA-compliant silicone, the Frywall can withstand up to 450°F and fits pans sized 10″ – 12″. After you’re finished using it, the Frywall rolls up to store easily anywhere. 3. Kleva Bake Snake – World’s First Bottomless Cake Tin! The Kleva Bake Snake is a unique baking ribbon that allows you to mold your cake batter into any shape you desire. Simply pour your batter into your ribboned shape and your batter will remain inside the shape. Its spill-proof preventing the batter from leaking from the bottom. It’s a great way for bakers to make unique and creative creations! Levoons are the next level measuring spoons. They look like regular measuring spoons until you squeeze their handles to make a scraper swipe across and push off all the excess ingredients, giving you a perfectly level and accurate measurement. The Levoons come in various different colors: yellow, orange, green, blue, pink, or purple. 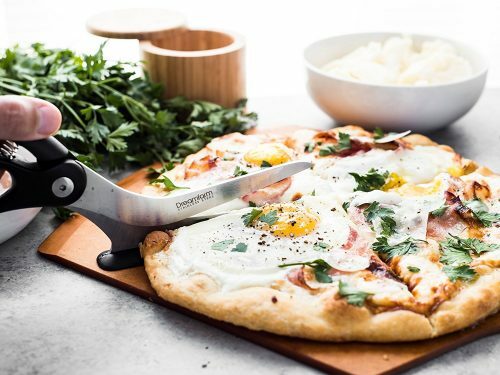 Scizza is a pizza cutter that perfectly slices any pizza on any surface and lets you serve with ease. Throw your blunt pizza wheel in the bin, Scizza won’t scratch your non-stick pans or dull on pizza stones, and it makes easy work for thick crusts and even deep dish pizza too! Dice, slice, and chop food up as easy as pressing a button! 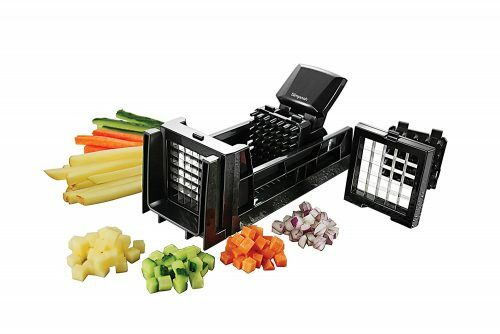 This Simposh Easy Food Dicer is the most efficient way for food preps! Perfect for those who want to save time while cooking, it has interchangeable blades to change between the options. Bakesplit is a universal silicone magnetic baking sheet divider used to prepare multiple baked dishes at the same time without mixing. Create full meals on a single baking pan, or meal prep for the week. 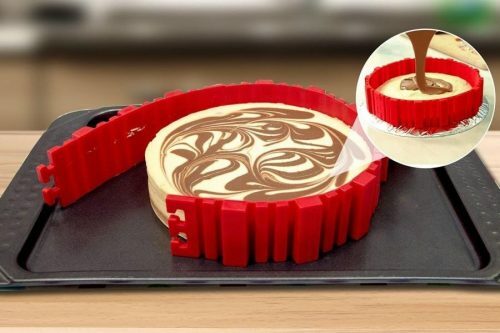 It expands and adjusts to the shape of your bakeware. Eliminate the need for multiple baking sheets in your pantry. Made with 100% platinum silicone and plastic, the Lekue Pasta Cooker is a quick pasta cooker that cooks a variety of pastas in minutes using a microwave, perfect for a lazy person like me! 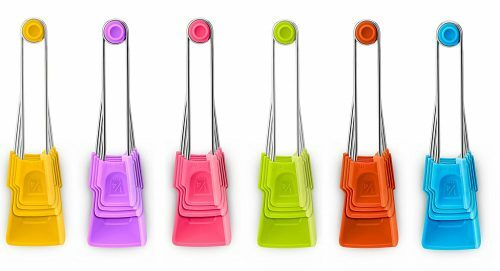 It’s designed to wash, cook and drain your pasta in the same tool, with the lid becoming a colander when you’re finished with the cooking. 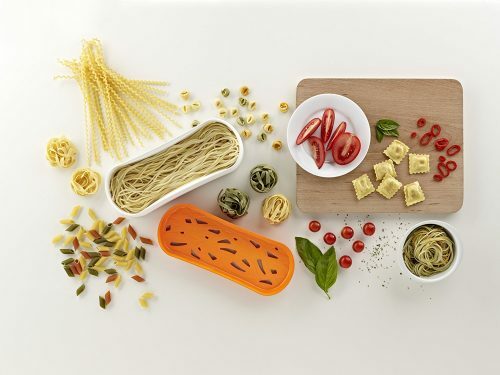 The Lekue Pasta Cooker works on spaghetti, short pasta, fresh pasta, noodles and more. Don’t forget to Sign up with us today and get your items shipped to our US warehouse then back to your doorstep for only HK$22/lb. Happy cooking everyone!